For many students at Cambridge, music plays an integral part of their lives. At Downing, this manifests itself as an active and inclusive music society (DCMS – Downing College Music Society). The society caters to all musical tastes, providing a regular series of classical concerts alongside more informal bar nights, which showcase some of Cambridge’s best student bands and jazz ensembles. 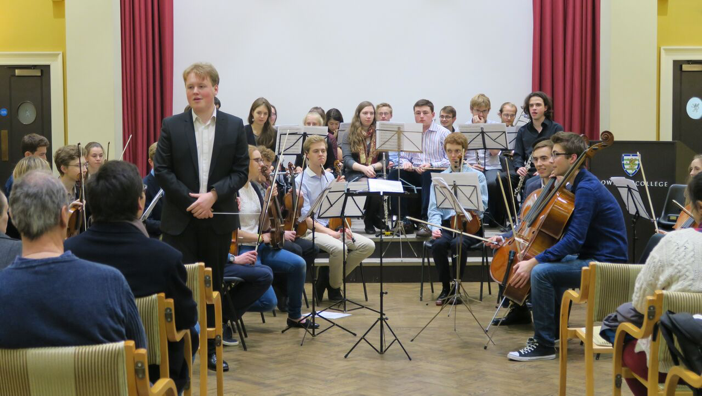 There is always a chance to get involved with music at Downing, regardless of standard – whether it be joining the college orchestra, big band or performing one of your favourite songs at an open mic night. We would love you to get involved. You can get more information about music in college through our Facebook page. Please also subscribe to our mailing list for updates about upcoming events in college; to join, email James Moore (DCMS Publicity Officer) at jmm232@cam.ac.uk. The Chapel choir, whilst not directly affiliated with DCMS, is central to musical life here at Downing. More information about the Chapel choir can be found here. 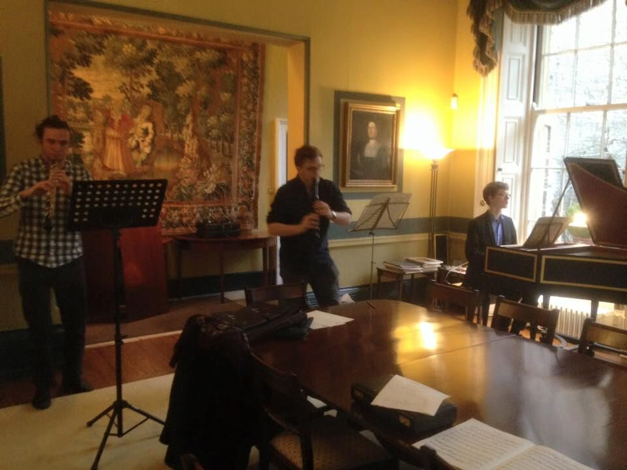 DCMS puts on a regular series of concerts throughout the term, with music from a wide range of contributors, including Downing students and fellows. The concerts are in a wide variety of genres, from classical to modern, and we try to make sure there’s something for everyone. During Michaelmas, there is the opportunity for Freshers’ to perform in the Freshers’ Concert. If you’re starting here at Downing in Michaelmas 2016, and you’re interested in performing, please email James Watkins (DCMS President) at jw914@cam.ac.uk - he’ll be delighted to hear from you. Contact James Watkins (DCMS President) at jw914@cam.ac.uk, or Harry Bradford (DCMS Concert Manager) at jhb55@cam.ac.uk if you’d like to play in a concert at Downing. Contributors from all colleges are welcome. The Downing College Jazz Band welcomes anyone who has a love for jazz and sings, plays a wind/brass instrument, or the guitar/bass/piano/drums to join us at our weekly rehearsals beneath the bar. Feel free to come along and try it out, even if you haven’t done anything jazz-related before. We play for events throughout the year, doing both small group performances and playing as a big band. Previous gigs include both John’s and Downing's May Balls. Contact Pranetr Pattabhiraman (Musical Director) at pp422@cam.ac.uk or Ben Stephenson (President) at bps27@cam.ac.uk for further information. We are available for hire for events around the university – any hiring enquiries should be directed to Ben. Throughout the year a range of free music events take place in the bar, including open mics, karaoke nights and full performances from a variety of musicians. We welcome all sorts of performers - in the past we've had everything from Barbershop groups to singer-songwriters to funk and rock bands. These events are organized by the DCMS Bar Nights Officer, who helps arrange the event with the bar and the performers, as well as being on hand to deal with the PA system and the equipment. If a performer/band needs to borrow some instruments or equipment this should be no problem - we probably have whatever you need and can help out! So if you fancy performing, whether you've done it before or not, please get in touch! We love having as many performers as possible and can help with organization, gear, and even performers' taxi fares. If you'd rather not have a full gig to yourself, that's also no problem; we can set up the perfect open-mic slot for you. 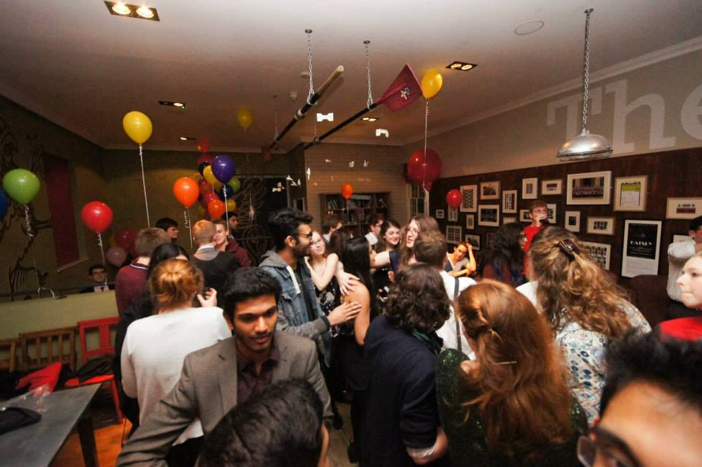 Please email Daniel Duffy (DCMS Bar Nights Officer) at dld34@cam.ac.uk if you’d like to play at Downing bar, or if you’d like more information about the events that take place at Downing bar; he’ll be happy to help out. The PPDO is the joint orchestra of Pembroke, Peterhouse and Downing. The orchestra isn’t auditioned, so anyone is more than welcome to come and give it a go. Our repertoire includes both classical and modern music, and we give concerts at the end of each term. There is also an exciting social calendar associated with the orchestra. Rehearsals are at 7pm every other Friday, at St. Columba’s Church on Downing Street. There is no charge. Look out for more information during Freshers’ Week! Please contact Harry Bradford (DCMS Concert Manager) at jhb55@cam.ac.uk for further information. You can also be added to the orchestra mailing list – just email Harry and ask.